After much discussion with both swim families and coaches, I am pleased and excited to be offering my swim sessions in a "mini" format for teams! 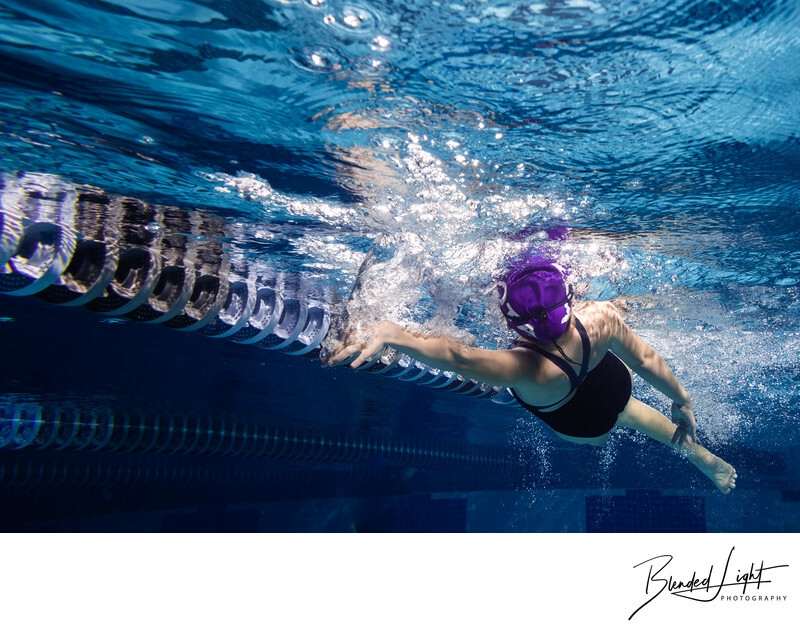 This offering takes my normal underwater swim session and makes it more manageable in time and cost, while providing parents and swimmers the opportunity to get themselves photographed underwater doing what they do best - swimming! Using your pool, I will come in and set up just like I would for a full underwater session. Each participant will swim about 10 yards of all 4 strokes in medley format (fly, back, breast and free). Just like a normal session, these images are lit from the pool deck and edited files are delivered to parents, generally within 2 weeks (subject to seasonal constraints). Prints are available at an additional and very reasonable cost. A date/s when you would like to have the session. For the most part, this will need to be a Friday-Sunday range, but some weekdays during the summer would be available. The date range is also dependent on the number a swimmers - a small team could be done in a weekend, while a huge team may need more than one weekend. For calculating purpose, the average mini takes 3 minutes, with older swimmers being a little under and younger swimmers being a little over. A minimum of 50 swimmers participating. This number is inclusive of those swimmers on the team or in the area that choose to do a full session while I am there (i.e., 47 swimmers doing "minis" plus 4 swimmers doing a full session is 51 swimmers). Less than 50 swimmers will affect the pricing. A pool with limited access other than me and the swimmers in the water. 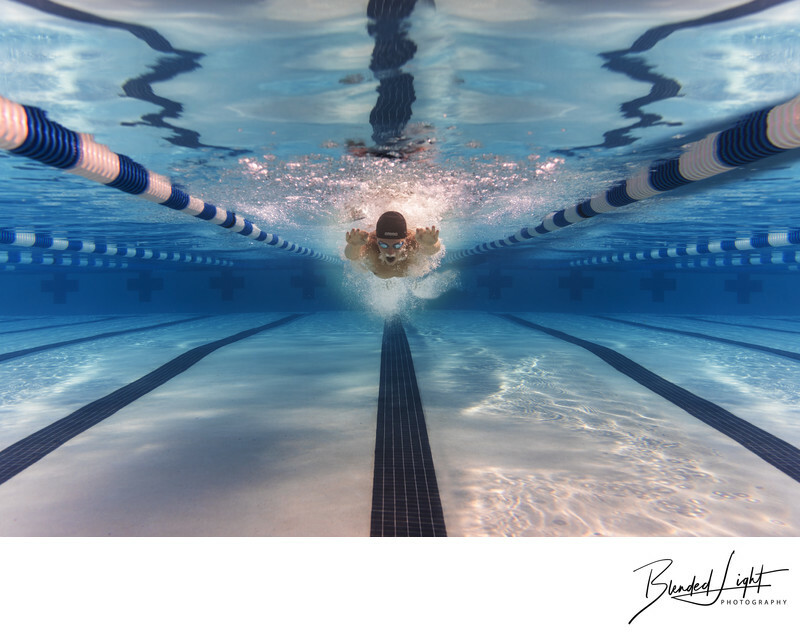 This prevents swimmers or teammates from showing up in the background in the images. The pool may need to be open outside of regular hours. The team or parents will be responsible for tracking those who are participating, collecting monies for the mini sessions and writing a single check for payment. Once a date is booked, I can provide some suggestions on the easiest method to do all of this. At each session, I will need one parent to keep a running list of the swimmers' first and last name in the order that I photograph them. This allows me to rename the images to the proper swimmer and makes finding your swimmer much easier. Due to the repeatability of these sessions and the shorter time durations, the mini sessions are $30 per participating swimmer. If travel is significant or if the team cannot fill the minimum (which has never happened! ), then the cost per swimmer may be higher than $30. Yes, I hate that phrase, but it worked in this case. For the time that I am present in the team's location, I offer a limited number of full sessions at a reduced rate. These sessions are generally offered to the older swimmers first. Full sessions are much more extensive and offer the greatest opportunity to capture specific shots as well as cover more image options. 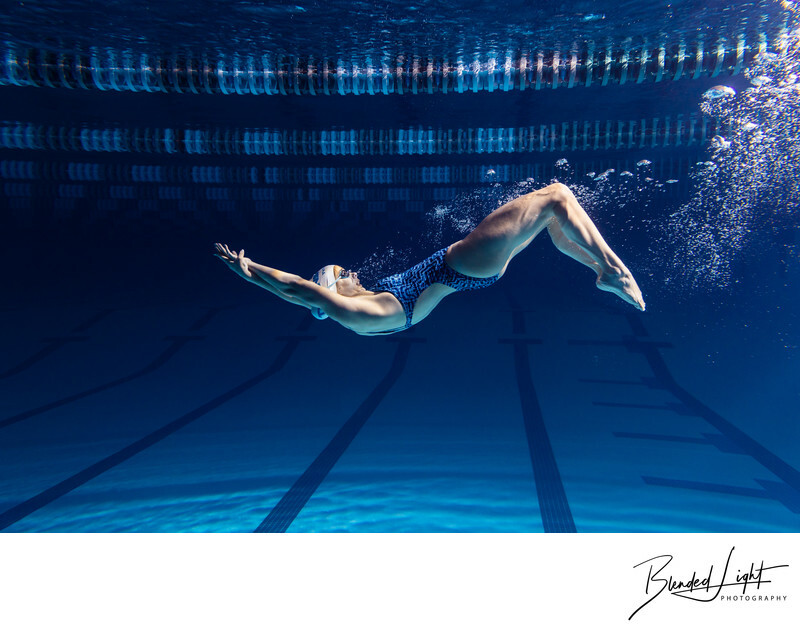 Full sessions include photographing breast and fly above water, multiple underwater swims of the 4 strokes, the dolphin kick from multiple angles, a studio session (set up poolside) for those "tough looking" swim pictures and any special requests. Parents and swimmers receive anywhere from 30-40 pictures from the 1 hour session. If booked during a team session (normally done before or after team groups have gone), you can book this for a reduced rate of $275 plus tax. If you have questions, please feel free to contact me. I am glad to speak to any parent or coach interested in scheduling one and happy to provide some tips on making it work smoothly. Parents and swimmers alike love having brought in to do these and it will definitely make your competition jealous!